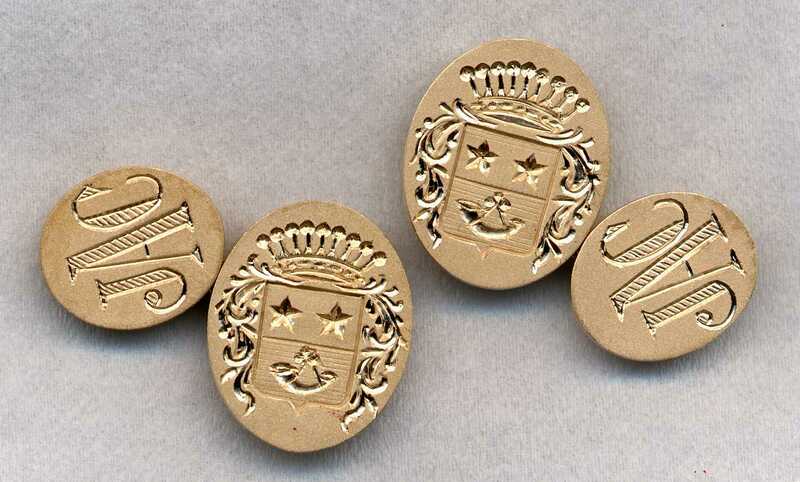 All these cuff links are intended to be hand engraved with your own family crest. 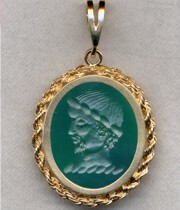 This can be done either from your own artwork or from the one found by searching our library above. 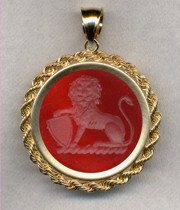 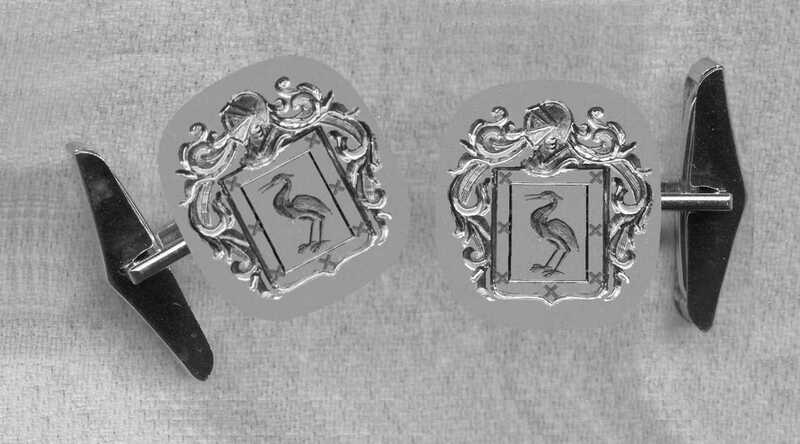 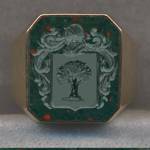 We will be happy to show what your crest would look like on any cuff links of your choice. 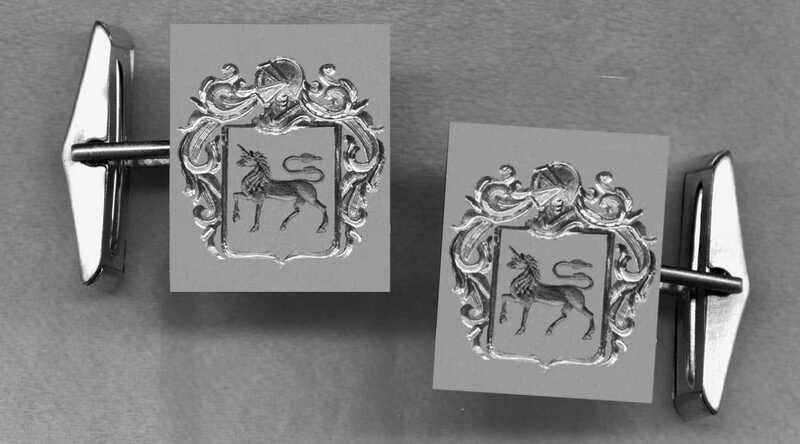 Just choose a model, specify gold or silver and if a stone cuff links, the kind of stone you would like. 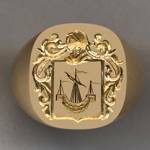 It is important that if you already have a copy of your crest, to include that as well! 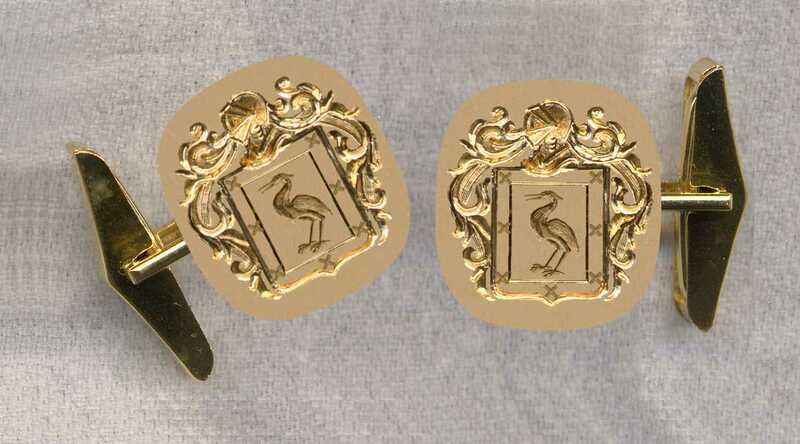 Cuff Links #42 20x16mm discs. 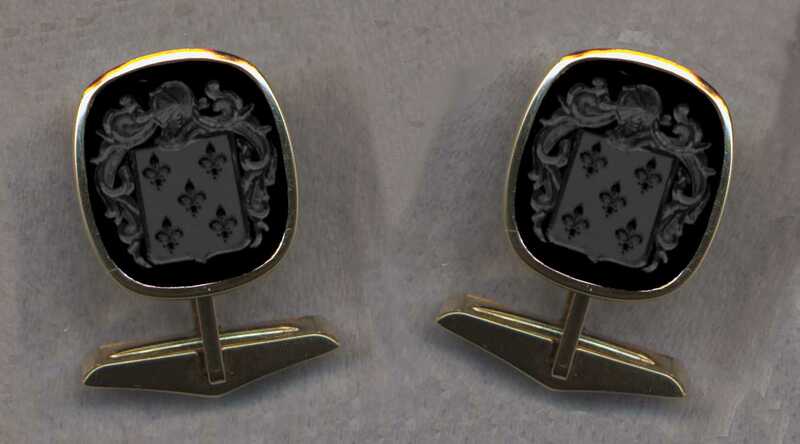 Cuff Links #2CL 16x14mm stones - shown with black onyx. 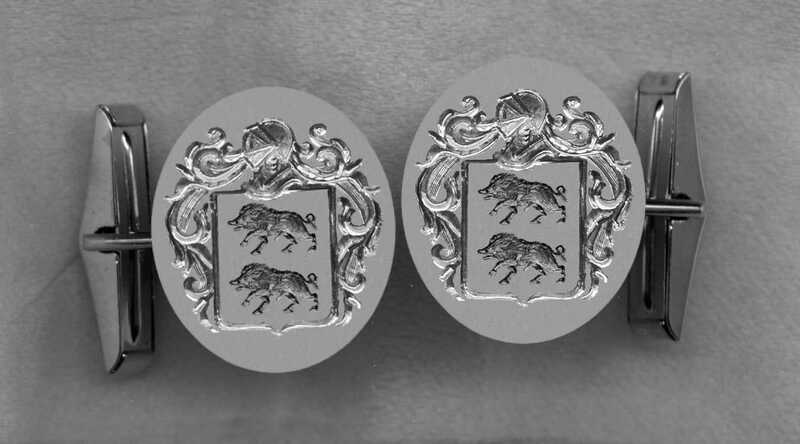 Cuff Links #41 20x16mm plates. 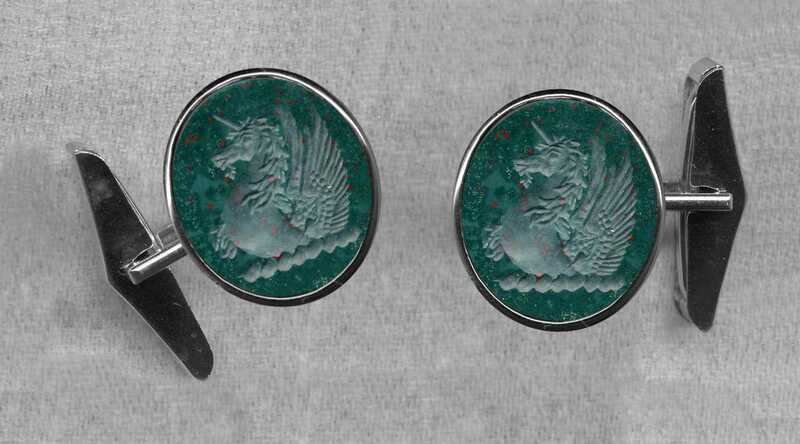 Cuff Links #11CL 17x15mm stones - shown with bloodstone. Cuff Links #42A 20x16mm discs. Cuff Links #46 20x16mm and 14x12mm discs.